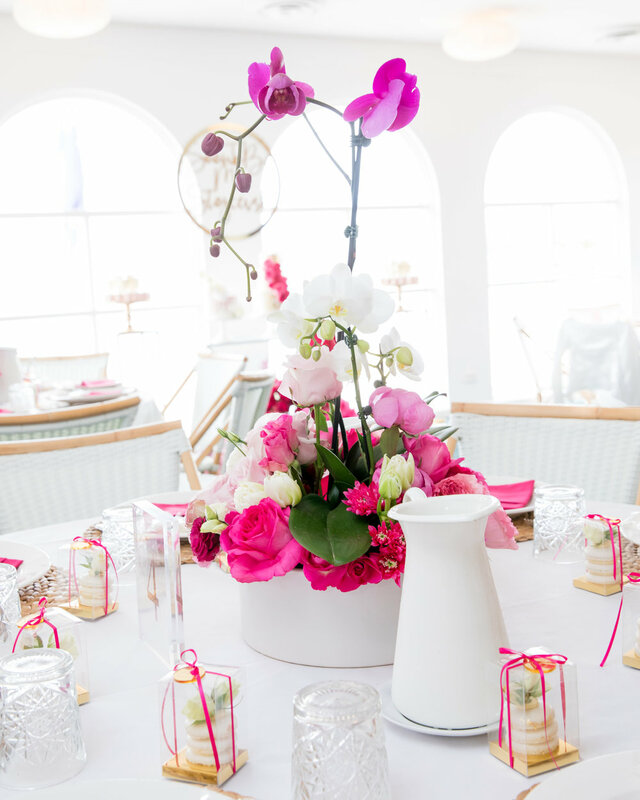 This pink and white kitchen tea was the perfect design for a bride-to-be who wanted something fresh, clean and classy. 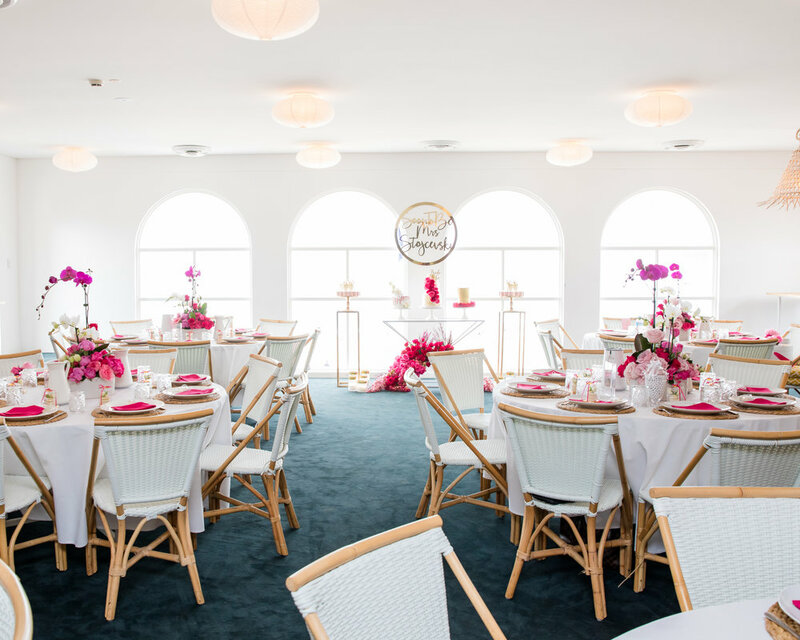 The settings were refined and were so well suited to the light and bright Bondi Blue Room. 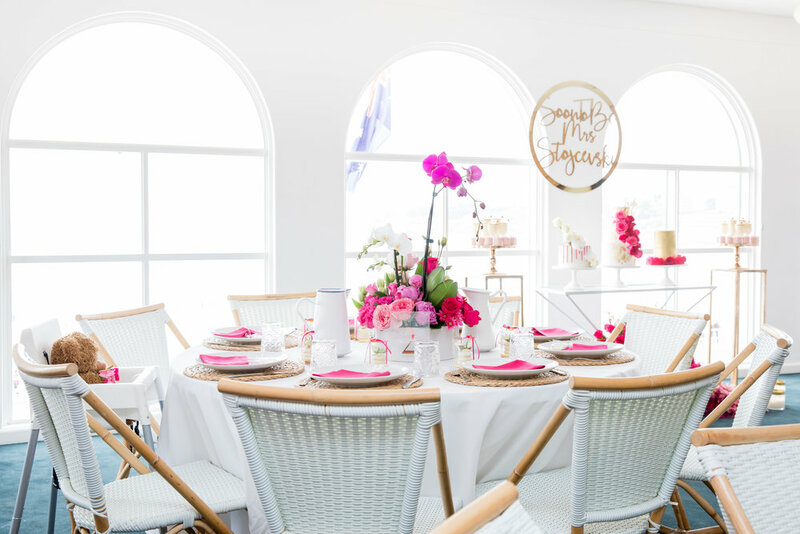 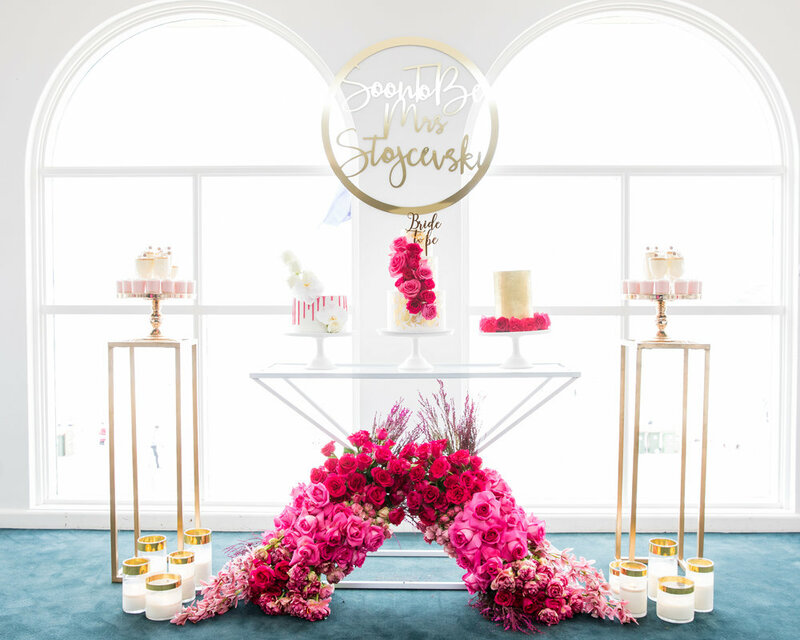 Events by Nadia worked with the bride-to-be's brief as well as the existing decor within the venue to create a design that represented the client's personality as well as the beautiful surrounds of iconic Bondi.